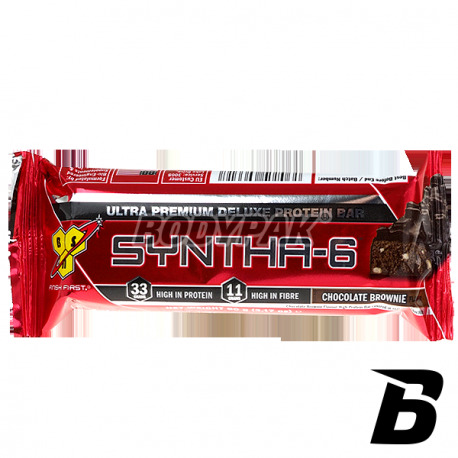 Incredibly tasty bar sports - ready to eat containing protein to be used for people who want to get better nutrition and physique! 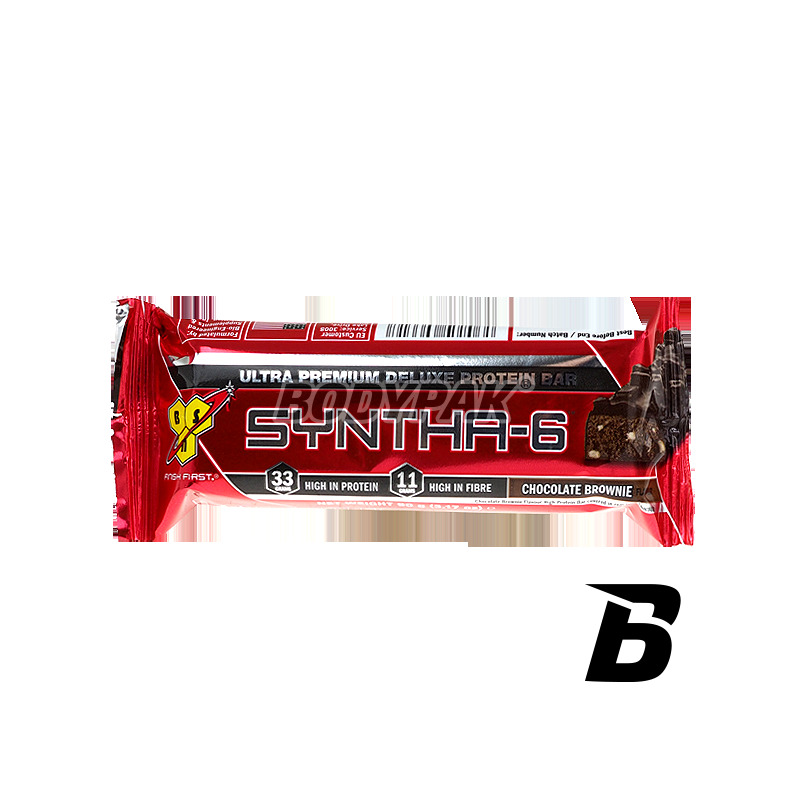 Syntha-6 Bar - This bar is ready for consumption containing the protein to be used for people who want to get better nutrition and physique. It consists of up to 6 high-quality protein sources. Together with glutamine and MCT will give you energy. 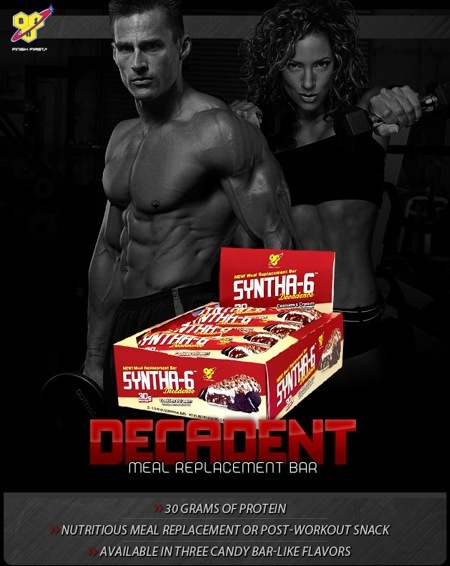 If you are looking for the ideal replacement for unhealthy snacks - reach for that bar and provide your body with high quality nutrients, so that will be able to recover faster and grow! Ingredients: Protein Blend (hydrolyzed whey protein whey, milk protein concentrate, whey protein concentrate, micellar casein, albumin egg, calcium caseinate), emulsifier: soy lecithin ), milk chocolate - icing (14%) (sugar, cocoa butter, milk powder, cocoa mass, emulsifier: lecithin, , soybean , flavoring), caramel (12%) (condensed milk sweetened, glucose syrup, vegetable oils, palm oil, rapeseed oil, syrup caramelized sugar, salt, flavorings), fructo-oligosaccharides, hydrolyzed collagen, Humecant (glycerol), water, micro marshmallows (4%) (glucose-fructose syrup, sugar , water, dextrose, gelatin, flavors, color: red beet), defatted cocoa powder, wheat Crunchies (1.7%) (flour wheat , rice flour, sugar, whey < / b> powder, canola oil, emulsifier lecithin , soybean ), pieces of biscuit (1.4%) (flour wheat , sugar, vegetable oil, palm oil and rapeseed , blend malt syrup, glucose syrup, barley barley extract, milk powder, salt, molasses), coconut powder, flavors, glutamine peptides, antioxidants (a mixture of tocopherols). Dobry skład i smak - generalnie dobry batom w przerwie.